Survivor: South Pacific (2011) - 5th place, 14th out - 8th juror. 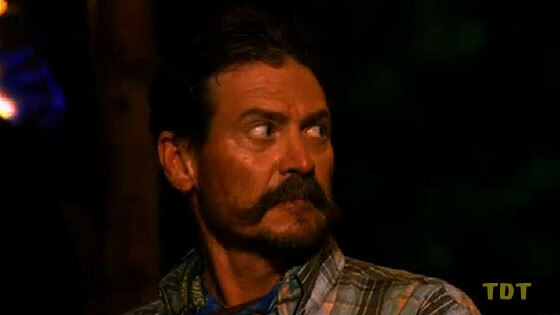 Voted out in Episode 14, "Loyalties Will Be Broken" (Day 37). South Pacific Ep. 1 IC: "Coconut Conundrum"- Digs, chops the ropes, Upolu wins. South Pacific Ep. 3 RC/IC: "Hitching A Ride" - Turns the big wheel for Upolu, and Upolu wins. South Pacific Ep. 4 RC/IC: "Shoulder the Load" - Sits out, as Upolu loses. South Pacific Ep. 6 RC/IC: "Losing Face" - Assembles, pushes the wheelbarrow for Upolu, but Upolu loses. South Pacific Ep. 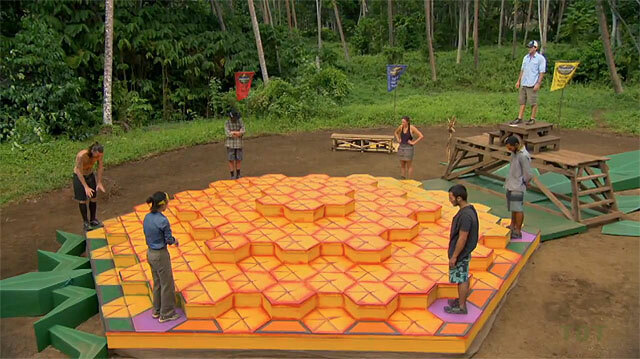 7 RC/IC: "Family Ties"- With Coach, a caller/director for Upolu, and Upolu wins. South Pacific Ep. 8 IC: "Coconut Cradle" - Out in second round, third man to drop out (5th/8). South Pacific Ep. 10 F8 IC: "C.A.T." - With Edna and Albert, eliminated on the first question (tie-6th/8). South Pacific Ep. 11 IC: "Second Chance" - Advances to final round, loses to Albert (2nd/7). South Pacific Ep. 12 IC: "Flip Out" - Third person eliminated (4th/6). South Pacific Ep. 13 IC: "Batman Wall" - Finishes behind Brandon and Coach (3rd/5). South Pacific Ep. 14 F5 IC: "Teeter Tower" - Ends up tied for last (tie-4th/5). South Pacific, Ep. 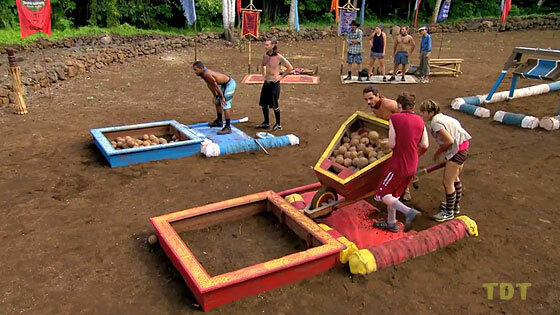 13: Brandon Hantz (voted out, 3-2). South Pacific, Ep. 8: Six votes, from Ozzy, Keith, Jim, Dawn, Whitney, and Cochran. South Pacific, Ep. 12: Two votes, from Cochran and Edna. South Pacific, Ep. 14 (Final 5 vote): Three votes, from Sophie, Coach, and Albert (voted out, 3-2). Gordon Holmes at XfinityTV.com (8/22/11): "Pre-Game Interview: Rick Nelson"
SurvivorOz podcast interview (1/25/13): "Rick Nelson interview"
"Personal claim to fame: My family and my ranch. Why you think you will be the sole Survivor: After applying 14 times, I am driven and very determined to win the game. I will stop at nothing!"